Discover how learning analytics can help you improve your online course design. And get some practical tips to get started. Learning Management Systems (LMS) collect a wealth of data, and much of it goes untouched and unused. But you can take advantage of that data to improve the design of your online courses. Applying learning analytics can help your students become more successful learners, and improve their effectiveness in their roles. 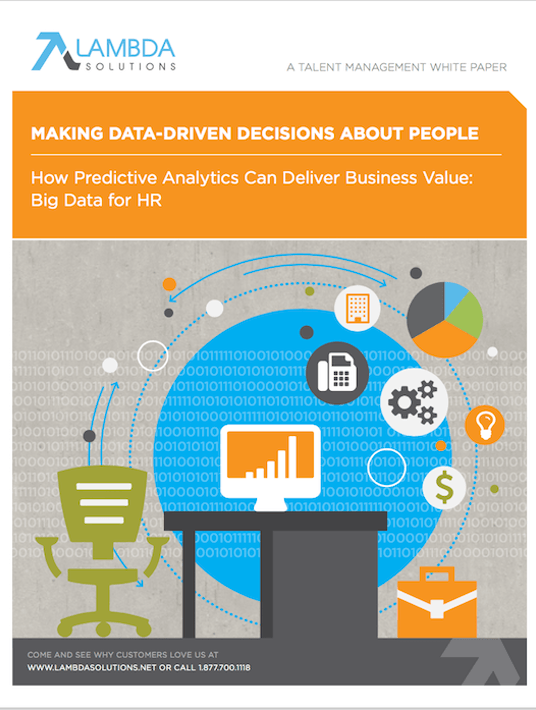 An eBook for all the questions HR managers can answer with Big Data and predictive analytics. In this article, we’ll show you how learning analytics can help you improve your online course design. And we’ll give you some practical tips to get started. A few years ago, big data stormed onto the stage of business strategy. Overnight, companies were finding new ways to collect torrential amounts of data—so much data, in fact, that most organizations didn’t know what to do with it. Your Learning Management System is also collecting an enormous amount of data that you can use to understand your learners’ behaviors, preferences, successes, and failures. The use of this data is called learning analytics, and it provides actionable intelligence for both you and your learners to improve your course design. Finding early indicators for student success or failure. Assessing the usefulness of learning materials. Intervening, supervising, advising, and assisting. Improving teaching, resources, and the course environment. As students engage with online course material, complete assignments, and take tests, your Learning Management System is collecting important data about their activities that you can use to understand how students learn best, and where they struggle most. The more you understand your students, the better equipped you’ll be to adjust your course design to meet their learning needs. Engaged learners are successful learners. Studies have shown a strong correlation between student engagement with a Learning Management System and their academic achievement. California State University, Chico, found that students who spent more time on learning tasks within a Learning Management System, and visited the home page more often, earned higher grades. Central Queensland University also found a correlation between the number of student views on a course home page and their final grades. The greater the engagement, the more students learn. In a face-to-face classroom setting, the signs of an engaged student are obvious—eye contact, active note-taking, asking questions and volunteering answers. But in an online environment, it’s not as easy to measure a learner’s engagement. However, learning analytics can help us understand students’ engagement with online courses, and to identify where engagement is strongest and weakest. Finding strong and weak areas of engagement can help us understand what’s working and what aspects of the online course need some redesign. Which elements of the course are areas of struggle? Which elements of the course engage learners? Which course section points prompt questioning? Do learners struggle with the assessments, in general (quiz, exam, activity) and on a granular level (question or specific activity level)? 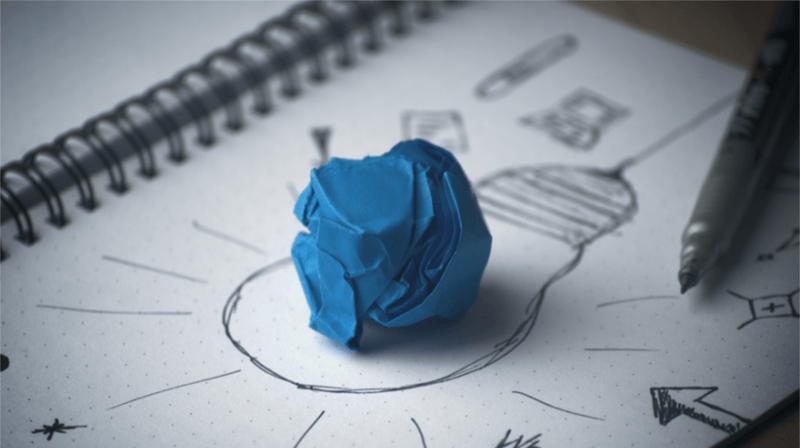 Online course technology is continually evolving, and so are the possibilities for improving your course design. If you’re starting from scratch, it can be overwhelming to figure out how to start applying learning analytics. Here are 4 ways for improving online course design with learning analytics. Does the learner spend more time or less time as they progress through the course? Which resources are students engaging with most? Which resources are students engaging with least? Provide early feedback so learners can make corrections and improve their self-regulation. It’s incredibly valuable for students to view feedback, in the form of assessments and instructor comments, throughout the course. When learners can gauge their performance as they progress through a module, they can make behavioral changes to become more successful learners. Yet, sufficient feedback has often been a weakness in the teaching-learning process for online courses. Using frequent and detailed feedback can overcome the gap. Help clarify what good performance is (goals, criteria, standards). Make self-assessment and reflection easier for students. Provide quality information to learners about their learning. Encourage teacher and peer dialog. Provide opportunities to close the gap between current and desired performance. Written comments on an assignment. Oral comments in discussion groups. Formative quizzes or summative assessments force students to recall and apply knowledge in frequent low-stakes settings, rather than in one or two high-stakes like midterms/finals. Infrequent, high-stakes testing forces learners to cram and purge information, and doesn’t help them assimilate their knowledge. And when students earn a poor grade, there is little if any opportunity to improve their performance—the final exam is final. But frequent quizzing throughout the course enables students to recall what they’ve just learned and communicate it effectively. This not only allows them to check their progress as they learn, but solidifies their learning as they rehearse the knowledge they’ve just acquired. Simply making grade information accessible in real time can significantly help students to learn better. Consider providing a progress bar that allows learners to see where they are—like a “You are here” pin on a map—throughout their exposure to the course. As their grade changes and as they complete more course requirements, the indicator can change to reflect their progress and achievement. Learning analytics provides incredibly powerful information to help both instructors and students achieve their goals. By observing learners’ engagement with the modules, and by providing feedback to students, you can design more effective online courses that help increase student achievement. Go deeper in your course design and Learning Management System mastery—check out our upcoming eLearning webinars!